CONCERNS HAVE BEEN raised about a pipeline that could be built between Dublin Port and Dublin Airport. The proposal would see an underground pipeline passing through large areas of the city’s northside. 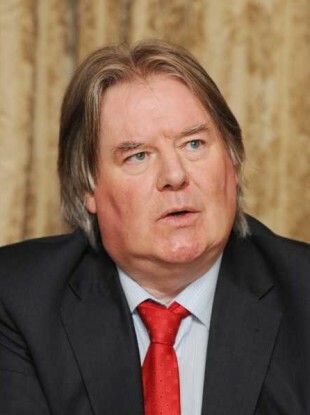 Objections were raised in the Dáil yesterday by Tommy Broughan, Independent TD for Dublin North-East, who has branded the project a ‘half-baked madcap proposal’. He stated that the pipeline had not been through the appropriate level of public consultation and that oil pipelines pose an environmental threat – seeing as no Environmental Impact Study (EIS) had been carried out on them. The pipeline is set to be approximately 16km between the two locations and would be used to move kerosene, going through residential areas including East Wall, Fairview, Marino, Clontarf, Donnycarney, Artane, Clare Hall and Burnell. In his statement, Broughan raised concerns that there is no provisions in Irish law for minimum set-back distances from residential areas when pipelines are being laid. The point was also made that the Dublin Port Tunnel, which was built at a cost of €800 million, already facilitates large vehicles carrying aviation fuel to move between the port and the airport. The proposed pipeline would be built by Fingleton White & Co and the Independent Pipeline Co. When it was first proposed in 2001, we had no Port Tunnel. The building of such a pipeline seems totally unnecessary now and will cause great distress and potential health and safety issues for thousands of Dublin Bay North constituents. As stated by Minister of State Phelan, the proposed pipeline will be subject to the full rigors of the planning laws like all major projects, An Bord Pleanala, who are an independent body and will require an EIS. Response from Fingleton White & Co and Independent Pipeline Co is pending at the time of publication. Email “'Half-baked madcap proposal' - TD criticises proposed north Dublin pipeline project ”. Feedback on “'Half-baked madcap proposal' - TD criticises proposed north Dublin pipeline project ”.